18 months ago, I was introduced to Restless Development by my great friend and long-term business advisor Andrew Wood. Andrew was recently retired, and had discovered a new outlet for his considerable energy and boundless enthusiasm: a UK-based charity called Restless Development that exists to empower young people to effect positive change in developing countries. Andrew told the story of how he’d been moved to make a donation to Restless to support their efforts in arresting the spread of Ebola in Sierra Leone. The more he learnt about the organization – starting with the pivotal role it played in Ebola crisis – the more passionate and evangelical he became about it. 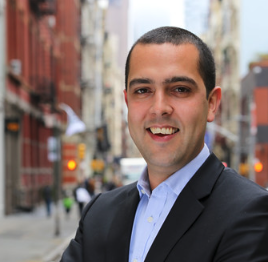 One thing led to another, and Andrew was ultimately invited to assume the role of Chair of the Board of Restless Development USA – Restless’ small but strategically critical hub in New York. Whilst living in New York and spending time with Andrew, I became more familiar with Restless’ work, and increasingly fascinated by their unique approach to solving some of the world’s most challenging problems. Essentially, Restless is all about empowering young people in some of the world’s poorest countries to make a positive impact on a whole host of local issues, from sexual health to extreme poverty to post-earthquake school reconstruction and much more besides. The reach and impact of Restless is mind-bogglingly complex and stunningly impressive. And unlike many similar organizations, it’s not about aid: it’s about delivering the training, and education and support to local volunteers required to enable them to train and empower young people to directly deliver positive change in their communities. Restless is the kind of organization that literally gives a young man a rod, and teaches him how to fish. As someone who believes passionately in the power of entrepreneurship to effect dramatic positive societal change – both in developed and developing economies – and in the huge potential of young people, Restless’ approach and message is one that resonates profoundly for me. So when Andrew invited me to join the Board of Restless Development USA, I jumped at the chance. I’m slowly getting better acquainted with the organization, its work, its challenges and its opportunities. Like Andrew, the more I learn about the organization the more my enthusiasm grows. I’m also learning about the ways I can be a productive and valuable board member. At this point, I think there are three ways I can add value. Firstly, the US hub is small and lean (whilst delivering a disproportionately high level of funding to the overall organization). It feels like a startup in its own right. I’m excited to offer Jean Manney, the US director, and her amazing team my support and advice on scaling their operation. I think there’s a huge opportunity to build Restless USA into a substantial organization in its own right. This is highly-motivating in itself. I also hope I can provide resources and support in raising the profile of Restless – both locally and internationally. Despite its considerable size and despite the wonderful and important work it does, Restless has low levels of brand recognition amongst consumers and potential private donors. I want to help make it famous. Finally, I’ll continue the series of Restless dinners I started earlier this year, to which I’ve invited a small number of people in my wider network to come together and learn about Restless and the work it does over informal drinks and food. I’ll be blogging occasionally about Restless and our progress in the coming months and years. If you think it sounds interesting, if you think you can help in any way or if you’d like to join a forthcoming dinner, please don’t hesitate to drop me a line. I’d love to hear from you.